This line is open except for the original connection to the Taff Vale Railway. 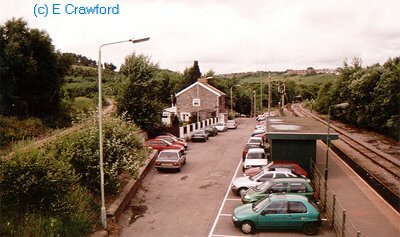 Looking north at Ystrad Mynach station. This line runs up the valley from Caerphilly to Rhymney. It formerly served coalmines and ironworks, now closed.